EVE Online Linux support ends, the news was handed down today from the EVE Online site. My name is Arend Stührmann, also known as CCP Whisper, and I am the producer in charge of the project bringing EVE Online to the Mac and Linux operating systems. As you may know, we have been working in partnership with Transgaming Technologies, utilizing their Cider engine to allow EVE Online to run on the Mac OS and their Cedega engine to enable operation under Linux. This project went live in late 2007 and in that time we have seen the same slow, steady growth in the numbers of users of the Mac client that has characterized the growth of EVE Online throughout its history. However we have not seen a similar growth in the numbers using our Linux client. It is for this reason that I am sorry to have to announce that from the 10th of March onwards CCP will no longer be officially supporting the Linux operating system. The low amount of users of the Linux client did not justify the degree of additional complexity having three operating systems imposes on our development and release schedules. 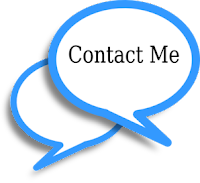 There is the matter of maintaining the hardware infrastructure to facilitate the development work, spending man-hours on testing and diagnosing faults in the client as well as regression testing. While we did embark on this project with the aim of being one of the few MMOG’s on the market offering a game client for all of the major operating system architectures, we feel that the time and resources that were being spent on the Linux client would be better utilized in areas where more players would benefit from them. I would like to thank you for your past support of our efforts to bring EVE to the Linux OS. The feedback and commitment we obtained from players like you helped both CCP and Transgaming with our attempts to improve on the quality and stability of the client. 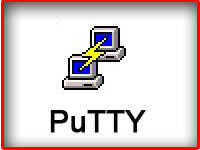 Many of us in CCP use Linux and are convinced of its merits as an operating system. Should you wish to continue playing EVE Online under Linux there are several options available. Some of these are free and some require purchase of software. A selection of these is at the bottom of this e-mail along with basic instructions on how to use EVE Online through them. If you wish to stop playing EVE Online and want to request a refund of unused game time, please contact our billing department by filing a petition in the billing category. They will assist you in obtaining a refund for the remaining game time and closing your account. Wine: To install Wine either use your distributions package management software or download the sounrce and install it manually. To install EVE using Wine follow these steps. 3. This starts the EVE client installation process. 4. Follow the instructions here to get EVE to run fully. 4. When complete simply run the EVE online Client using the Shortcut created on your desktop. Wine-Doors: Wine-Doors is a frontend application for Wine and includes easy installation for a number of additional programs and games with easy installation procedures. 3. Find EVE Online in the list of available applications and press the install option behind it, then press Apply. 4. Navigate to where you saved the EVE installer and press Open. 5. This starts the EVE client installation process. 6. When completed simply go to Applications –> Wine –> Programs –> EVE and select EVE Online to start. PlayOnLinux: PlayOnLinux is another frontend application for Wine which also includes easy installation for a number of programs and games. To install EVE using PlayOnLinux follow these steps. 3. At the bottom of the window you see a text line “Install a .pol package or an unsupported application”. A new window appears. 8. Browse to the location where you saved the EVE installer, select it and then press Forward. 9. Now begins the Installation process for the EVE client itself. 10. When the EVE client has completed installation untick “Run EVE-Online” then press Finish and then Forward. 12. Press Browse and navigate into the Program Files\CCP\EVE folder, there select eve.exe and press open then Forward. 13. Name the shortcut ( i.e. EVE Online ) and press Forward. 14. Select where you wish the shortcut to be displayed and press Forward then press No. 4. Select EVE as the target prefix and press forward. 5. When done, press forward. 5. After downloading the window closes automatically. 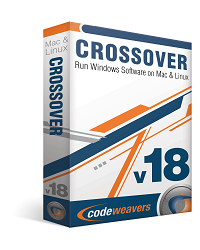 CodeWeavers CrossOver Games: With CrossOver Games, you can run many popular Windows games on your Intel OS X Mac, Linux or BSD. Whatever your tastes, first-person shooters, fantasy, strategy, MMORPG's CrossOver Games provides the capability to run many popular games titles. 2. Start the CodeWeaver Games application and select EVE Online from the options list and press next. 3. The installation process takes care of all requirements so there’s not much else you need to do at this point but wait for it to complete apart from pressing Yes and Ok from time to time. 4. When the installation is complete untick “Run EVE-Online” and press finish. 5. The application finalizes the installation proces, when finished press Finish. 6. Start the EVE client by double clicking on the EVE icon on your desktop.